If you’ve ever had the pleasure of dining on truffle, you know why they are such a popular ingredient within the culinary arts. The fungus is also rare. Extremely rare in Denmark. So Danish chef trainee Andreas Kryger couldn’t believe his eyes when he found 20 summer truffles in the garden belonging to his in-laws last week. He then called the nature authority Naturstyrelsen just to make sure. “It was mental. I dug up truffles the size of fists. They were three times the size of the ones you see in textbooks,” Jes Aagaard, a nature guide with Naturstyrelsen, told TV2 News. Truffles are not common in Denmark at all, and since 1903, there have only been 22 registered finds. But there could easily be more out there. “There’s a lot in the dark here, because there are definitely many Danes who find these summer truffles without knowing what they are. So get out into the gardens and take a look,” Thomas Læssøe, a fungi expert with the Natural History Museum, told Søndagsavisen. Kryger ended up selling the first kilo and a half to his place of work, Restaurant Herthadalen in Lejre, for 4,500 kroner. The truffle is a fungi that grows under the ground and is very difficult to cultivate. It’s bulbous in shape and very firm and elastic. 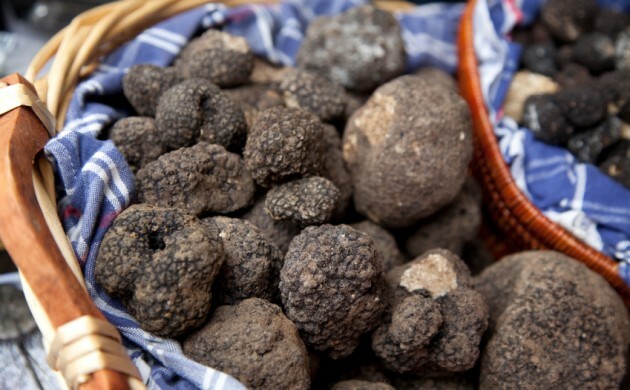 They are also very valuable – particularly the white and black truffle. The summer truffle goes for about 3,000 kroner per kilo, while the black truffle sells for about 15,000 kroner per kilo. The white truffle can cost as much as 30,000 kroner per kilo.